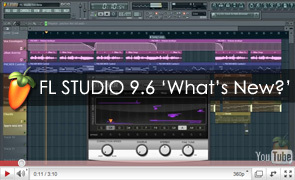 Newsletters - FL Studio 9.6 Beta! - Browser Autohide - See the Browser menu options. The total price depends on your selection of plugins. Until the 5th of Novemberselect 4 (or more) plugins and receive a 50%discount on the regular price of the plugins in the bundle. We created a Flickr Slideshow with over 90 photos of customer studios uploaded to Looptalk. Click on the image to see more. 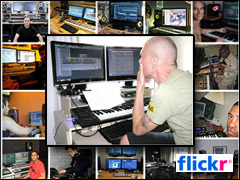 If you would like your studio to be added to the slide-show please visit the 'My Studio' thread in Looptalk and upload your best shot. You get bonus points for appearing in the image and double bonus points for a picture of FL Studio in an interesting or famous location. We've listed the most popular Video Tutorials and put them in Playlists. Click on the image right to see the list. If you have suggestions for future tutorials let the FL Studio Guru know here in Looptalk. 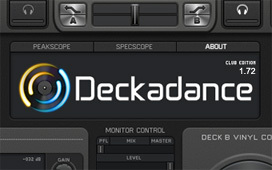 Deckadance 1.72 adds support for Dj-Tech Pocket Dj, Dj-Tech uSolo Fx. Modified MIDI mapping for jogs in Hercules Dj Console MK2/MP3 models. PitCHER is a real-time pitch correction plugin we are beta testing in the latest FL Studio beta (betas squared!). Don't be a Pain and Heap this effect on your tracks when you Cher them with friends, ok? Sept 23: PitCHER Coming Soon!